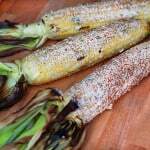 This Mexican Grilled Corn on the Cob is the perfect addition during barbecue season! 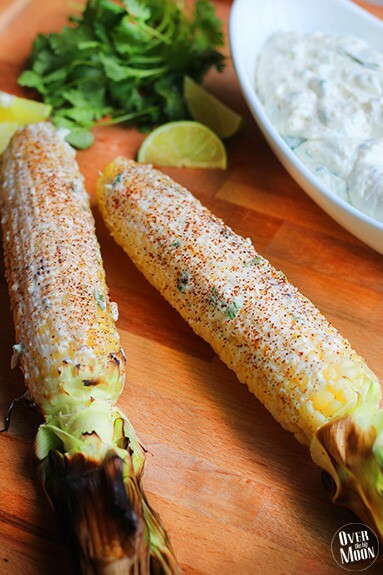 Grill this up with your favorite Kabob recipe and fresh appetizer for the perfect warm summer evenings dinner! 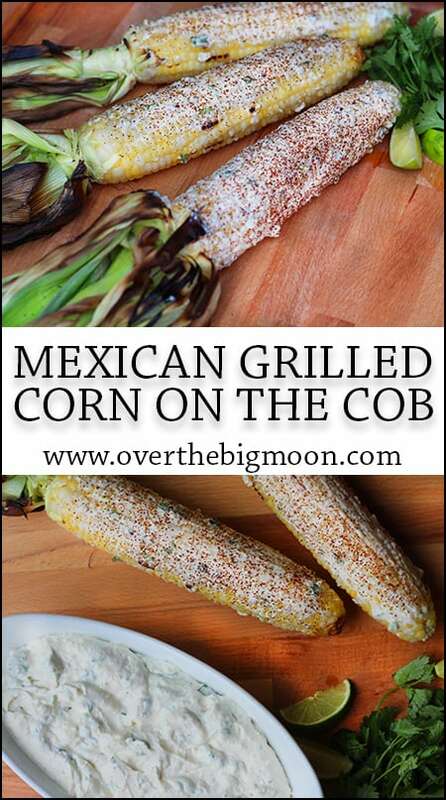 Last year I was introduced to Mexican Grilled Corn on the Cob by our really good friends! HOW IN THE WORLD had I never had this before guys? Being that I literally LOVE food and hadn’t heard of it, I can only assume there are some others that are missing out on this goodness too! I’m literally obsessed and dreamed about it all winter long! 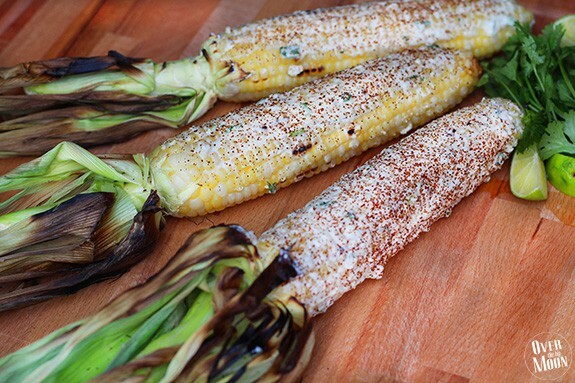 I am so happy BBQ weather is here! Friends, you’ll never taste anything so good! 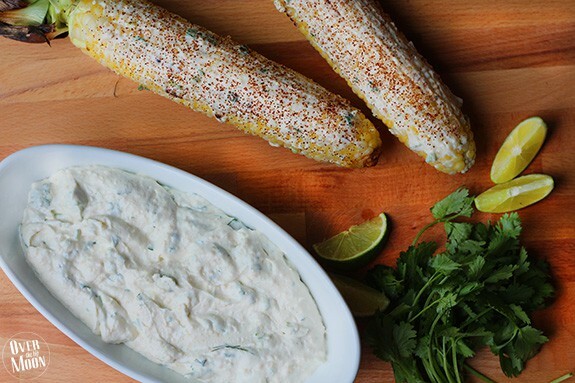 In a small bowl, combine the mayonnaise, sour cream, cilantro, and parmesan in a bowl and mix everything together. 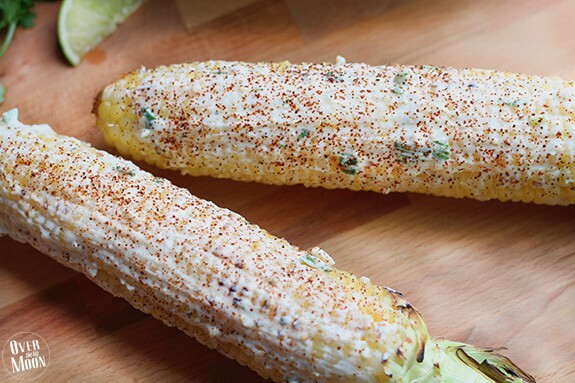 Place your corn on a grill rack sprayed with cooking spray. 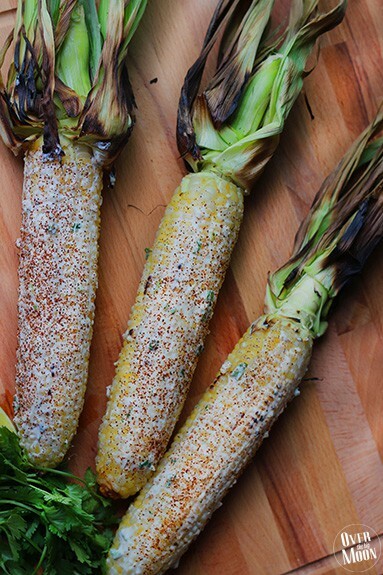 Cook the ears of corn approx 12 minutes or until corn is lightly browned, turning frequently. Drizzle lime juice to preference. Here’s a sneak peak of the BLT Pasta Salad! If you love this side – I’d love for you to pin the image below!